Andheri is host to a new café that serves a variety of cuisines, is doused in shades of blue and is designed to create a free-flowing food affair. With both indoor and al-fresco seating that is classy yet understated, what stands out is how green the place is when you’re having a meal outside. The tables have eastern European tiling both inside and outside and looks like the perfect place to enjoy a dish in the monsoons. There are a lot of options on their menu, and we suggest starting off with a plate of their crystal dumplings (INR 250). If you’re into soups for a light lunch or dinner, they do have options to excite the palate. Their sandwiches and wraps range from different styles of chicken to tuna, Cuban ham to even shrimps and mushrooms. Burgers range from lamb to jerky; even ham or a veggie option, if you’re in the mood. They also have a range of baos, pizzas (8-inch, thin crust & charcoal grill) with different toppings (INR 275), on-the-go food like hummus, BBQ wings, fried fish and other finger food (INR 250- INR 280), to even fresh salads to give your taste buds a break. Their main course consists of risottos, pasta, mac & cheese, ravioli, steaks, lasagne, au gratin and a delectable choice of fresh roots and veggies (INR 280 – INR 350). While they serve all sorts of teas (masala chai to Moroccan mint), they also have some interesting shakes like the Disneyland (topped with lollipops and other delights) or the Minty Eight. 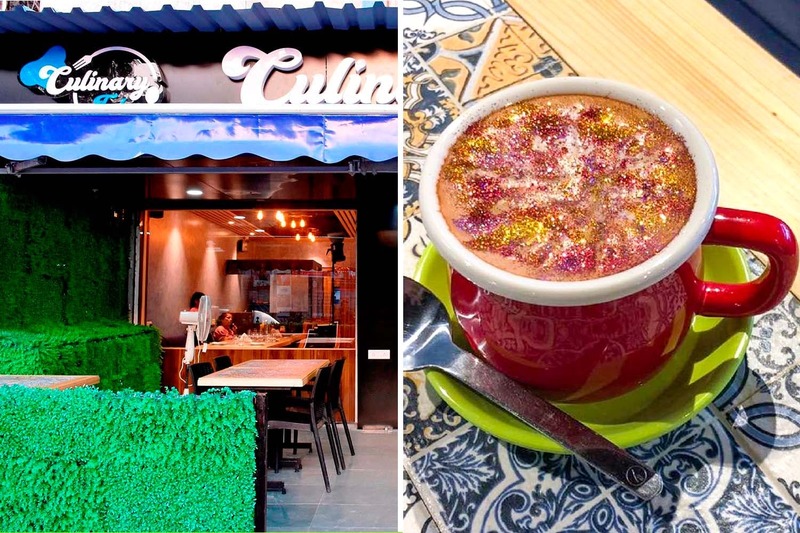 You can quench your thirst with their list of coolers or opt for the perfect ending to a perfect meal; a rainbow glitter latte. If you’re in the mood to try new dishes, head out here. Even otherwise, you’re spoilt for choice when it comes to evergreen favourites. It’s quaint and is an awesome place for a quick bite before heading out for that movie. Check Out This Great Place To Hang Out With Friends In Andheri!